Home Blog Meet The Chef La Cave à Fromage, Hove. An Interview with David Deaves. “La Cave” is celebrating its 3rd birthday this summer. 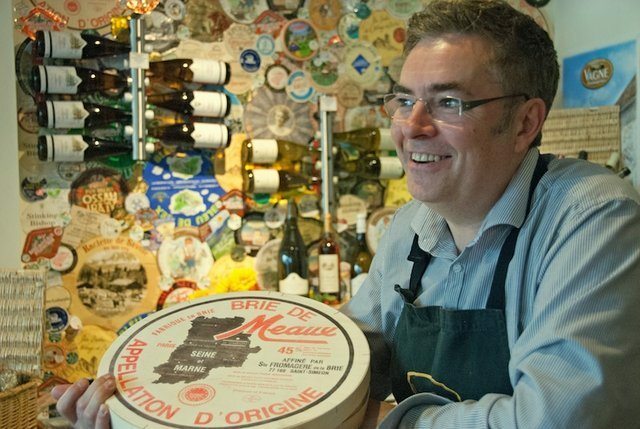 David has been at the shop for two years and, working with his small team, offers the city something different – Specialising in a wide selection of artisan and farmhouse cheeses, charcuterie from across Europe and wines from France. That’s a hard one. There are so many cheeses out there to choose from. 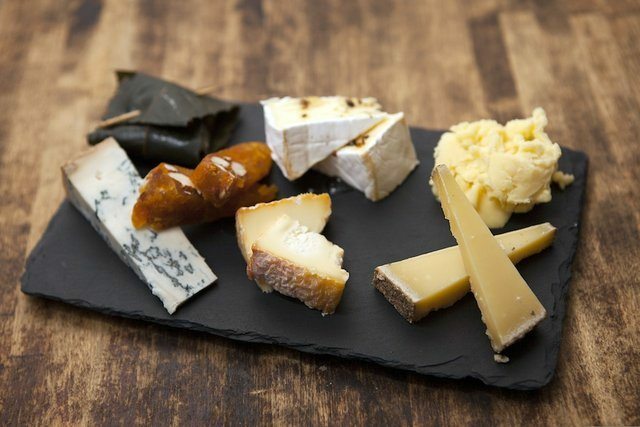 Cheese to me is like chocolate to others – it depends on my mood and the occasion. If we are talking about cheese in general, then it is “blue” all the way – in particular “Bleu des Basque”, a ewe’s milk cheese from the Midi-Pyrénées, with a natural sweetness and salty finish. If we were to pick and English Blue Cheese, then it would have to be the “Barkham Blue” from the South East – a cheese made from Jersey and Guernsey milk, rich and buttery with a nice savoury finish. I am also partial to “Flower Marie” and “Lord of the Hundreds” both from East Sussex and our own creation “Stilton in Port”. What was it that got you into cheese? I have always had a passion for cheese from a young age and, at some point in my career, had hoped to work with cheese. Cheese is an amazing produce but at the same time a complex one because if it’s diversity as a food or to cook with (at the end of the day it is mainly milk). 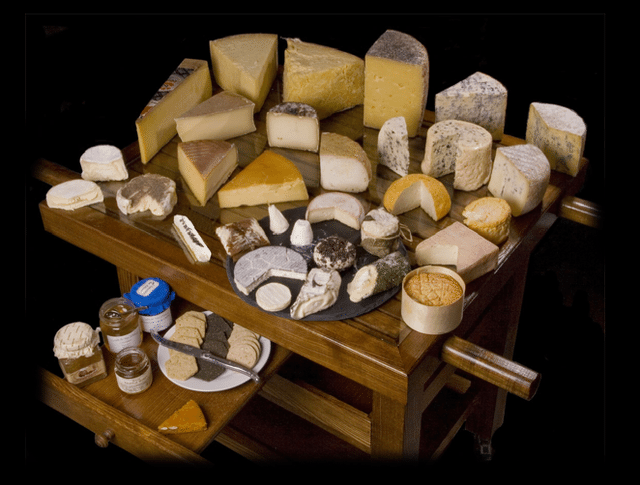 Cheese is totally integrated with nature and based on secular savoir faire and human skill. In 2011, having worked in London for many years for event caterers and becoming a casualty of the economic climate, I decided I wanted to work in Brighton and say goodbye to the commute. Fate brought “La Cave” and me together after a visit to their website to see what tastings they had coming up. I noticed they were looking for a manager – that was two years ago and I have not looked back. Best piece of advice you would give a cheese enthusiast? Buy from an independent cheesemonger where you are guaranteed quality and knowledgeable staff, who are happy to help you choose the right cheese. It may be a little more expensive than a supermarket but buy small pieces you know you will enjoy. Store your cheese in waxed paper, never wrap it in cling film as this promotes sweat which, in turn, promotes the rapid growth of mould. Wax paper allows the cheese to breathe. Any good cheese shop will offer you a taste of the cheeses you are interested in. If not, never be afraid to ask. “La Cave à Fromage” a twice finalist in the Brighton & Hove Business Awards, is not just another cheese shop. 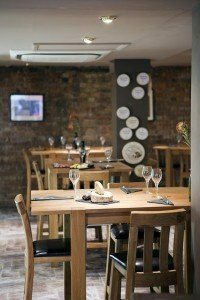 Our Tasting Café is open daily where we serve a selection of tasting platters of cheese and/or charcuterie and a selection of salads. Our Wine List contains wines from many regions of France, including the Bergerac, Gaillac and the Cahors AOC regions. 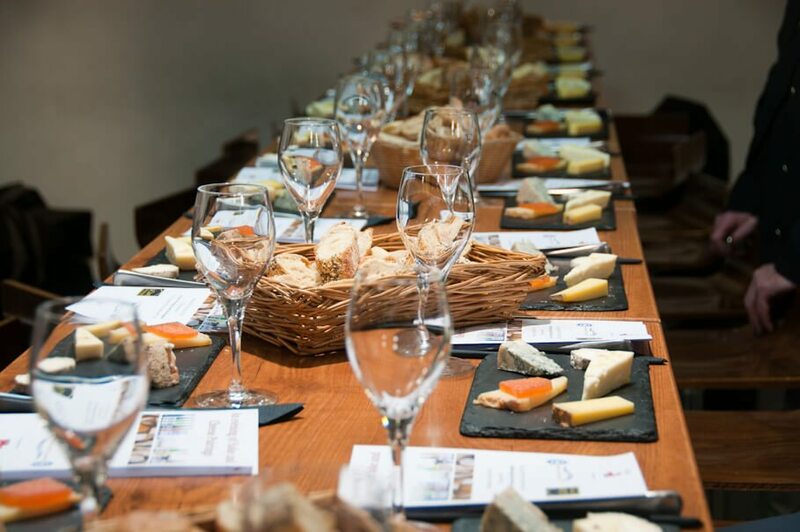 Our bi-monthly Cheese & Wine Tastings allows you to learn a little more about cheese – or just to indulge in one of life pleasures.